Confirmation at Dilworth Lutheran takes place from 7th-9th grade. Then in the Fall of their Sophomore year, the youth are confirmed. 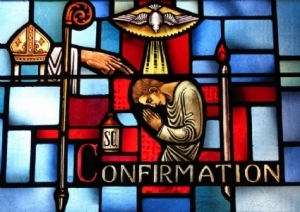 Our Confirmation program is relational and focuses on formation; not so much information. In 8th grade, Parents and Children are learners together. They come together weekly for 14 weeks for “Bible Basics”; learning about how their story and God’s story link together.